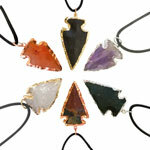 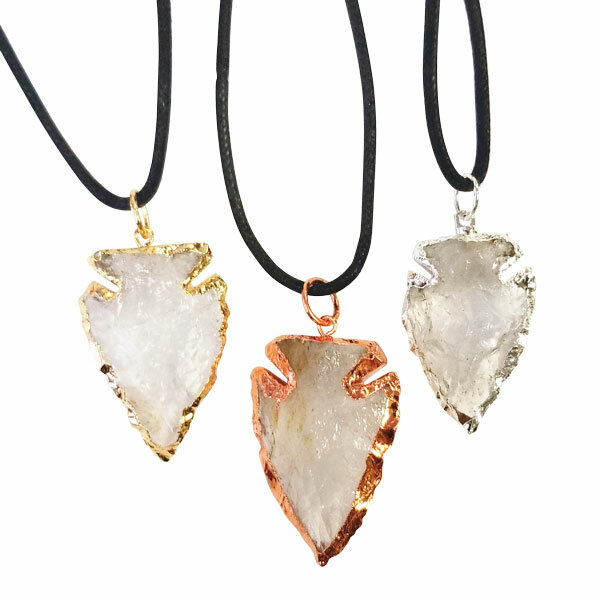 These plated edge arrowhead pendants from India come in a variety of shapes, sizes and colours of plating. 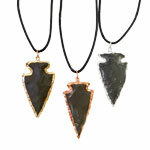 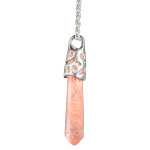 Wearing an arrowhead around the neck is a symbol of protection and strength. 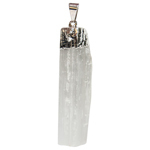 Pure quartz is composed of silicon dioxide and forms six sided crystals. 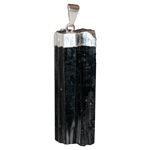 The master stone, once thought to be solidified light, is used by many to remove negativity and promote harmony and cooperation within an environment. 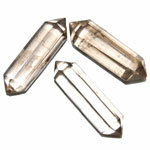 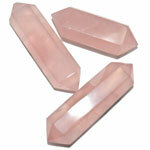 It is also used in cleansing and energizing other crystals and minerals. 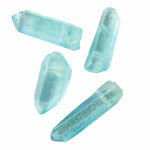 Excellent for meditation and accessing higher self and guides.